Catch the Bus Week is an initiative organised by Greener Journeys to encourage people who may not ordinarily use the bus to try it. It is in its third year, having launched quite quietly in 2013 with the support of Arriva, Go Ahead, First Group and Stagecoach. Last year, over 100 bus operators, passenger bodies and local authorities participated, with events including: Gold winning Olympian rower Anna Watkins MBE speaking about how walking to and from the bus stop can help you get your daily exercise; numerous giveaways and competitions; the launch of a new hybrid bus in York; a bus themed dance troupe; radio shows presented live from on board buses; and 25 MPs holding their local surgeries on a bus. 2015 is set to be bigger still with 144 organisations already signed up to the week which runs from 29 June to 5 July. Greener Journeys have put together a number of key messages to assist those participating with their promotional activity. The first is that travelling by bus helps to improve your health and wellbeing. Their research shows that bus travel can be a third less stressful than travelling by car, it frees up time to participate in other activities and the walk to the bus stop helps to contribute towards the government’s daily exercise goal. Bus transportation is an important link for communities, often providing essential services for those in rural communities, the young, those on low incomes and the elderly. 25% of all UK households do not have access to a car; this almost doubles in workless households and 77% of jobseekers would need to use public transport in order to get to work. 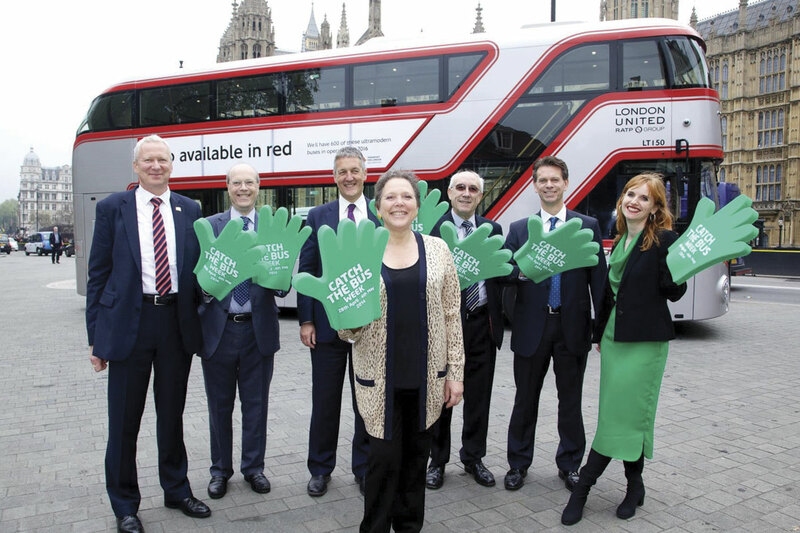 There is also the economic advantage to consider, for every £1 invested in buses, it generates £3.32 totalling £64bn of benefits to the economy. One in ten commuters would have to seek alternative employment if their bus service was discontinued and with the ever increasing price of travelling by car in terms of taxes, repairs, insurance and fuel, it costs the average driver 27 pence per mile to run their vehicle. As you would expect from Greener Journeys, one of their focuses is the environmental impact of non bus journeys and the carbon footprint they leave behind, the congestion that they cause and the depreciation of air quality. They claim that if everyone switched just one car journey a month to the bus, there would be one billion fewer car journeys, saving two million tonnes of CO2. I contacted a number of operators to get their thoughts on the campaign and to find out a bit more about how they will be participating. 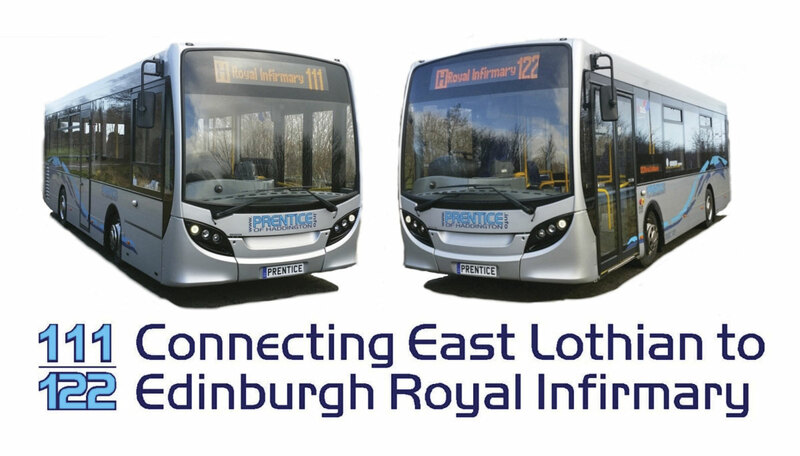 Ross Prentice, MD of Prentice Coaches in Haddington, East Lothian, is taking part in Catch the Bus Week again this year. Last year, despite promoting a service which has since been scrapped, Prentice noticed a 50% increase on passenger numbers on the promoted rail-link service. They offered a number of discounted tickets including a half price monthly ticket and a return for the price of a single. 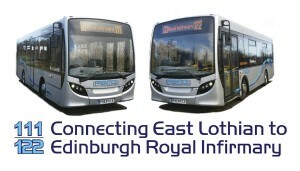 This year they will be promoting two new routes that run from East Lothian to Edinburgh Royal Infirmary. One route is brand new and the other an amended existing route they have taken over from another operator. They are hoping to promote a new app which is free for passengers to download and each day they will be giving a different code which they will be posting on their website and social media pages. This code will act as an online ‘scratch card’ offering various ticketing promotions throughout the week. Ross is also talking to a local radio station about the possibility of broadcasting a show live aboard one of his vehicles. The station has already previously broadcast from the new Virgin rail service in the area. Nottingham City Transport has signed up again but at the time of going to press, they were finalising the details of their planned activity. Last year, they held an event in the Victoria Shopping Centre in Nottingham to target non bus users, by giving away lots of promotional gifts and information about their services. 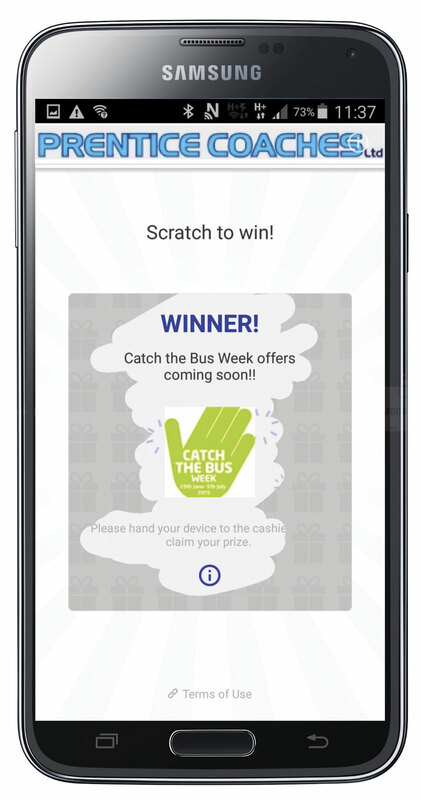 They ran a number of competitions including ‘Bus Selfies’, where a daily winner won theatre tickets and an Easyrider Challenge, where the customer who used their smart card the most won a free month of bus travel. This was won by Jane Drateru, a district nurse in the area who managed to use her card a staggering 83 times in one week! 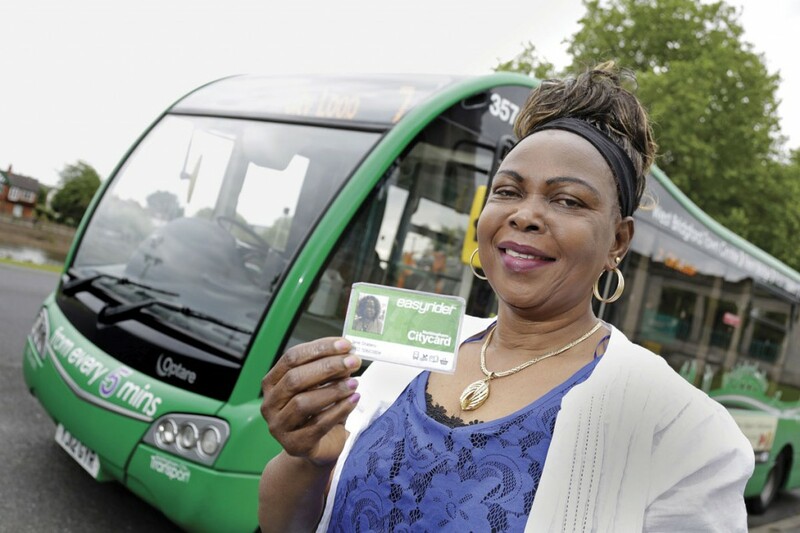 This was mostly due to her using the bus to get to her various appointments and shows the strength of the Nottingham City Transport network in enabling her to do it. Cardiff Bus will be building on their success last year and have similar activities in the pipeline. In 2014 they worked with Cardiff Metropolitan University to encourage students and staff to take the bus in place of the car for the week and to see the benefits that this created. 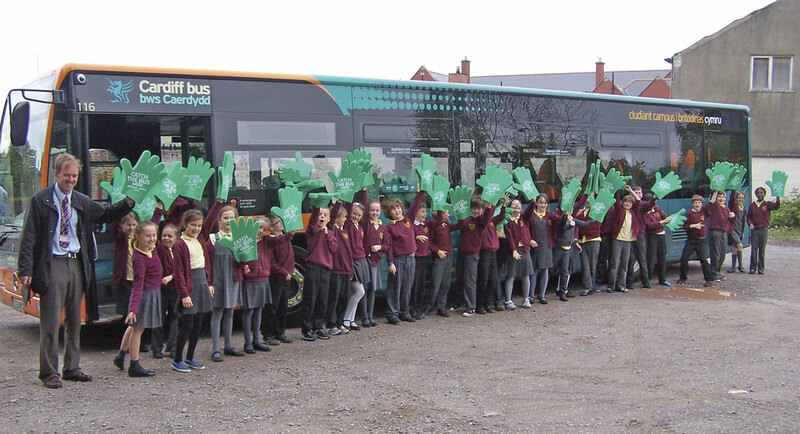 They also targeted the next generation of bus users by visiting a couple of primary school classes, taking along with them a new Citaro vehicle and teaching the pupils about how to catch a bus safely. On a lighter note, they also ran a ‘bus selfie’ competition on social media, which proved very popular. It is not too late to sign up to Catch the Bus Week. Greener Journeys have an information pack which is available to download with advice and marketing support material. [email protected] and we will try and include you in our round up article which will appear after the event.